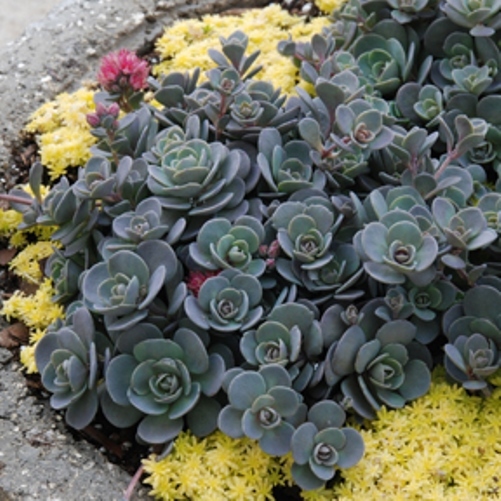 Sedum 'Blue Elf'. This special hybrid features tight compact blue foliage. 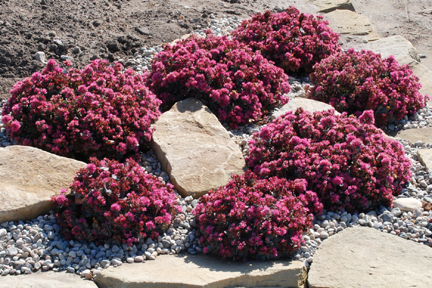 Plants are smothered with hundreds of dark-pink flowers in late summer. PPAF.